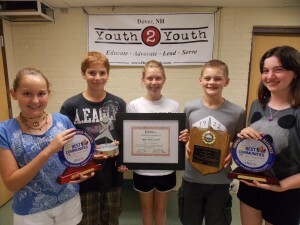 Established in 1992, Dover Youth to Youth has received a variety of awards over the past 20+ years. 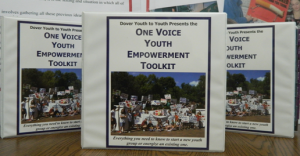 The program has been recognized by several national organizations and won national awards in tobacco prevention, community engagement, and underage drinking prevention. Y2Y has also won numerous awards for our original Public Service Announcements. Members of Y2Y have also won individual awards for their dedication to tobacco or underage drinking prevention. For further details and award information, explore our individual awards, media awards, and group awards.